Swinford GAA club have been drawn to meet Kilmaine GAA in the quarter final of the Egan Jewellers Intermediate Championship. 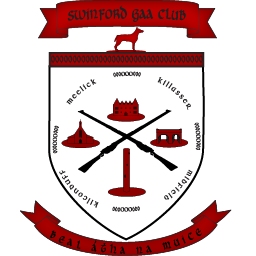 This is Swinford’s first foray into the knockout stages of the Intermediate Championship for a number of seasons and the players will no doubt want to lay down a marker ahead of a potential semi-final against either championship favourites Charlestown or Calum Best’s own Bohola Moy-Davitts. Elsewhere, in the Treanlaur Catering Senior Championship, there will not be a repeat of the last two county finals at that stage again this season as defending champions Ballintubber face Castlebar Mitchells at the quarter final stage, with the 2001 All-Ireland champions Crossmolina facing Westport in the other tie of the round. Details of the matches have not been released yet but it is expected that teams that have players involved with the Mayo senior team will be out on the weekend of August 11/12 with the rest of the games taking place the following weekend. Previous PostMatch Report – Mayo Intermediate Championship – Parke/Keelogues/Crimlin Vs SwinfordNext PostPoll – How far will Swinford go in the Intermediate Championship?